A Big Thank You to Kim Christoff, Steve Elgersma, Marilyn and Alicia Stavinga, Deb and Don Zynomirki, Gloria Hunter and Debbie Thomas on behalf of the DHS. Did you know this crew of hardworking volunteers were busy spreading mulch in the flowerbeds at the East and West Dunnville signs, Muddy and Uptown beds during the summer months? Just shy of 50 yards in total was spread, approx. 5 inches thick, and in very hot, humid conditions. That’s a lot of hard work and slugging. Be sure to say a thank you to these dedicated DHS gardeners on our behalf. “Many clubs, businesses and associations—especially those that have been around for decades—are reinventing themselves to stay relevant in today’s world of rapidly changing communication technologies and evolving population demographics” says Beckie Fox, Editor, Garden Making Magazine. Among them are local horticultural societies, including Dunnville Horticulture Society (DHS). In the past, these local gatherings were sometimes perceived as gatherings of “botanical experts” or “clubs for little old ladies with white gloves.” But this is quite the opposite. DHS is working hard to dispel this myth with its new programs and initiatives. Founded in 1929, DHS is a welcoming group of people of all ages and gardening stages in life. Our Junior Gardeners, over 20 children and youth, add a vitality to our composition. With a healthy 2016 membership of over 260 people, we are a vibrant gathering of men, women, singles, couples, young and middle-aged folks and empty nesters. We come from different geographical areas including Dunnville, Lowbanks, Wainfleet, Cayuga, Caledonia, Castor Centre, Hamilton, Welland, and Port Colborne. We share a common interest in gardening whether it be growing fruit, veggies, or flowers. DHS people are “down to earth” people, appreciative and respectful of earth’s good gifts. We work hard and take pride in local beautification projects in our town. We partner with other service groups in Dunnville. The scope for growth in gardening is huge and ever changing. We try to stay relevant as we look at environmental issues and sustainability. We conduct spring plant sales and other fundraising efforts to support our local community projects. We give back to our community through thousands of volunteer hours. Infact, in 2015, our members logged over 2200 volunteer DHS hours. Now that is something to BRAG about! Our monthly program nights (Sept.-June) are informal, entertaining, and educational. These evenings are a social time for people to come together and make connections with other like-minded folks. In September, DHS will roll out an updated website. Along with other Hort Societies, we recognize social media as a way to attract younger members and stay current with changing communication. We look forward to Sept. 15, 7-9pm when we will resume our monthly program nights at the Optimist Hall, 101 Main St. E., corner of Cedar and Main St. Dunnville. Come, bring a friend, and hear about “Gardening in Drought Conditions” (sound familiar?) presented by Wendi Prior, Assistant Manager of Terra Nursery, Hamilton. Everyone is welcome, members and non-members alike. Doors open at 6:30pm. Refreshments will be served. Sandi Marr, DHS Recordng Secretary. Small in scale. Huge in Possibilities. Fairy Gardens are only limited by your imagination. When hot August temperatures prevent us from gardening outdoors, creating a indoor fairy garden is a lovely option. Fairy gardens are very popular among young and old alike. A fairy garden is a miniature garden complete with structures and living plants, limited only by one’s imagination. It is a miniature world where things are small in scale and huge with possibilities. 1. Prepare a container for planting. Add stones to your container if it doesn’t have drainage and fill with potting soil. 2. Choose your plants carefully. Make sure they are dwarf and in scale with their environment. 3. Design your garden. You may wish to sketch it first. 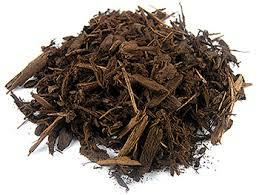 Arrange your plants in the soil and begin planting. 4. Add accessories, both homemade and ready-made. Make accessories such as a twig fence, bench, clothesline, etc. My preferred sources for “miniature treasures” are Dollar stores, Thrift shops and Garage sales. 5. Find a special place indoors for your new fairy garden and lovingly care for it with water and fertilizer. Fairy gardens are a terrific way to introduce little ones to gardening while allowing their creativity to flourish. Unlike a conventional garden that takes years to develop, a fairy garden can be a reality in less than an hour. 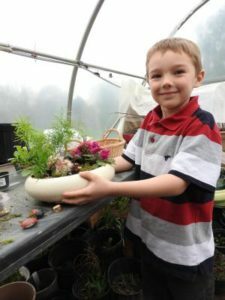 During the process, children learn about plant selection and care, both valuable lessons for future gardeners. While the Dunnville Horticulture Society (DHS) doesn’t host monthly summer program nights, you will see members out weeding and maintaining our spectacular Town flowerbeds. This summer has presented greater challenges with our hot, dry season. We’re grateful for dedicated volunteers who work hard to keep our beds beautiful and welcoming to all who visit Dunnville or call it home. Thanks to Deb Zynomirski, Vice President for organizing our “2016 Botanical Gardens and Winery Tour” which will take place on Saturday, August 13. A coach and driver will to take us to Niagara Parks Botanical Gardens, then on a tour of three distinguished wineries of the region: Reif Estate Winery, Southbrook Vineyards and Konzelmann Estate Winery. If you are interested in joining this amazing bus trip, contact Deb at (905) 774-8453 (Cost: $60/person for non-DHS members or $115/couple). You won’t be disappointed. We’ll resume our monthly program nights on Sept. 15, 7-9pm at the Optimist Hall, 101 Main St. E., corner of Cedar and Main St. Dunnville. Come, bring a friend, enjoy a snack, and hear “What’s New at Garden Centres?” presented by Wendi Prior, Assistant Manager of Terra Nursery, Hamilton. Everyone is welcome, members and non-members alike. Doors open at 6:30pm. With heavy hearts we wish to announce the peaceful passing of Judy Jeffery, after a courageous battle with cancer. She passed away on Sunday August 14th with her family by her side. Cremation has taken place. A celebration of her life will be held this Friday, August 19th, at 3 p.m. at her home, 521 Marshall Road, Dunnville. 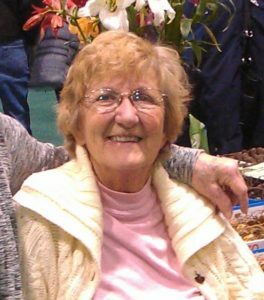 In honouring Judy’s wishes, the family has requested any donations be made to the Dunnville Horticultural Society. Some of you may not know Judy but she was a great lady and an inspiration to all. She loved gardening, whether in her own garden, at her business (Judy’s Plants on Marshall Rd.) or with the Dunnville Horticultural Society. She was a long term member, past president and played a huge part in the Junior Gardener program. Her disabilities never slowed her down, and her laugh was infectious. She will be greatly missed by all. Rest in Peace Judy and say hi to Maura!